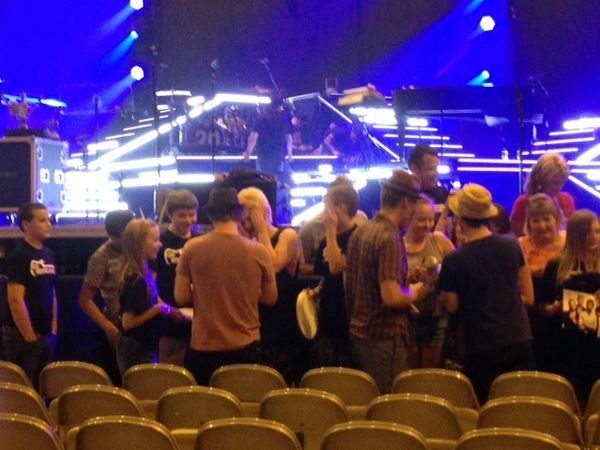 Local music students at the QC Rock Academy got to hang out and chat with Rob Thomas and the members of Matchbox 20. The band was in Moline Wednesday, July 10, 2013 for a concert with the Goo Goo Dolls at the iWireless Center. The QC Rock Academy students got a full tour of the arena, then got to sit in on a sound check, plus a question and answer session with the band. The Rock Academy’s director, Greg Hipskind, says it’s a great way to show the students how their hard work with music can pay off in the future. Check out the original article along with a video from the event from WQAD 8 Quad Cities here.